Since there are at least 30 possible causes of shoulder joint pain, there is no way for you to know what the cause is through self diagnoses. If you have pain, you will need to see a doctor. According to doctors we have spoke to, for some, there is a possibility of healing without surgery. One of the Water Cures staff has found total relief through the use of the Water Cures protocol along with glutathione boosting techniques for pain management and an exercise protocol from the surgeons who first suggested the potential for natural healing. More on this below. Sometimes your doctor may not be able to help. At the bottom we have one of the unusual possibilities but since it is related to something affecting over 300K people a year according to the CDC, we felt it bears inclusion. As an orthopedic nurse (I took care of patients who had shoulder surgery), from experience with thousands of people, I can say, you will be best served if you go to a doctor who specializes in shoulders if you have shoulder pain when lifting your arm. There is one thing to ask, even before you make your appointment. Ask if in treating shoulder joint pain, it is possible for it to get better without surgery? Here is what a surgeon I worked for told me. He said, "In the case of rotator cuff tears, if they are not very bad, it is possible to heal them without surgery." Naturally I wanted to know how to which he responded, 'Therapy.' So I asked if it was that simple, why does not everyone do it? He came back, because it can take up to a year and everyone wants a quick fix. It is with this knowledge that my personal story unfolded. I was involved with an installation in Seattle, Washington, USA. A big cabinet tipped over and I caught it with my left arm. On doing so, I felt the immediate burning pain in my shoulder, an indicator of what was most likely a rotator cuff tear. I came home and the pain subsided. Doing the typical things one does to decrease the pain, using ice and other natural anti-inflammatory treatments, the majority of the pain was gone if several days. Then I went on the exercise regimen. In my bed, using a can of soup, I started the exercise outlined by the doctor. For one year, these exercise were done faithfully. At the end of the year, not thinking much more about it, I stopped. But I made one mistake. While I lifted the small soup cans and eventually larger soup cans, I did no strength training. Then one day, it happened all over again. This time it was much worse. Was it shoulder nerve pain or shoulder ligament pain? All I know was that there was no strength in my arm. It was not possible to reach behind myself and lift anything. Likewise, it was not possible to take a coat off or put it on like most people. I pulled my coats off by reaching over my head with my good arm, grabbing the collar and pulling the coat over my head. This way, to get it of my arm, it only had to drop down. No arm movement of my bad arm was needed. But that was not the bad part. At night, when sleeping, any arm movement caused excruciating shoulder joint pain. It was as if my arm was being pulled out of the socket. It did not take much more than three nights of no sleep because of the pain any time I moved to realize it was time to see a doctor. Why You Need to See A Doctor Before going on...it is essential to know.....some will wait too long to get treated and perhaps go for physical therapy. To deal with the pain, they will get injections and get prescription or over the counter joint pain medication. And what is the result? Constant pain, sleepless nights and little chance of ever being normal. Ok, you are probably wondering why I did not go to see a doctor. Actually I did speak to doctor about my injury. Remember, I have spent years providing nursing care to people with various injuries, including those in the shoulder. Shoulder join pain relief was part of my career. The problem was, I did not follow the treatment through to the end. Further, I did not want to use joint pain medications. Even so, after night three of no sleep, it was time to see the doctor who first taught me about the natural way to treat the injury. When reaching for the phone book, the thought occurred to me....Wait, they are only going to put me on pain killers that I am not going to use anyway. First let me get the pain under control. My concern, it was nerve pain rather than just shoulder joint pain relief that I needed. My very next thought....I am a pain management expert. Doctors come to me when they cannot get pain under control. To date, I have not found anyone who stuck to any of my regimens that did not partially if not totally end their pain. 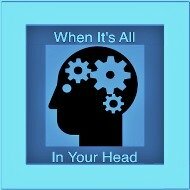 No one thing works on everyone but everything in my pain relief tool box works on someone. But, what I was dealing with was something new. It was up to 10 on the 10 scale of how bad the pain felt. Something more was needed. Mentally reviewing the various theories of pain, I remembered the 'Delta Receptor' that I heard about in a pharmacy lecture. When first hearing of it, the thought was that this was the holy grail of pain relief. This got me to thinking of a new theory of pain management. Note: there is significant science behind our solution for shoulder joint pain but there is no specific study to prove this works. It would be the height of arrogance to think simplistically that because there is no study, that this cannot work or is dangerous. It is a matter of a proper diagnoses, the right exercises and eating the right food, using food as medicine. Up till this time, nobody had figured out how to attain analgesia from the delta receptor. From my research on glutathione (GSH), there was a lot of information on why it worked for pain management. The body makes GSH from what we put in the body. We need to take the precursors of GSH for our body to be able to make it. What if it was possible to attain relief from shoulder joint pain? Not just any pain, the "Someone is ripping my arm out of its socket" shoulder pain. 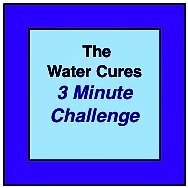 First and most importantly, the Water Cures Protocol on its own increases glutathione. 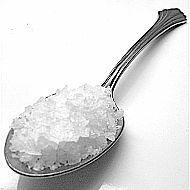 A study found this in the 1970's But it has to be unprocessed salt. I started the salt and water of the water cures protocol. It helped but it was not total relief. Next, a search was undertaken to find chemical makeup of foods, starting with every food that started with the letter A. 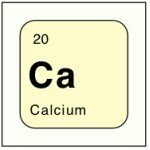 Was there a chemical in some food that could bring about pain relief? Not knowing what I was looking for, this was hide and seek chasing after an elusive goose. One problem was not knowing what the goose looked like. Continuing on with the food chemical search and coming to the letter B and Red Beets, one of the chemicals within was methionine. I had written a paper on methionine years earlier so this caught my attention. While I am still not sure, the evidence suggests that methionine turns homocysteine into cysteine. Cysteine turns into glutathione. Glutathione helps eliminate pain. While the research is limited, there is a connection to the Delta receptor. The Raw Beet Raisin Carrot Salad Recipe This has worked for so many to increase glutathione and eliminate pain. At the same time, the research pointed to a connection of hydration with glutathione production. This is kind of intuitive. The more dehydrated our body, the harder for the chemical processes inside to be accomplished. While living in a world that wants science for everything we promote in health care, this involved a simpler science, that of common sense. 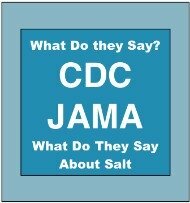 So, using my nursing 101 education, in addition to drinking water, I put a pinch of salt in my mouth. This to help the water get into each of my cells. 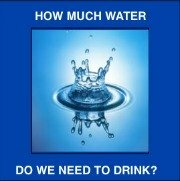 There is one study that seems to indicate that this too will increase the GSH in our bodies. Next, the beets were added to the shoulder joint pain solution. Running out to the grocery store, within an hour of this discovery the clinical trials on patient Zero (that's me) were underway. The beet, uncooked, had a taste and texture similar to a carrot that was too big. Kind of a woody taste. But, suffering bad taste was nothing if the pain was to go away. By this time, I had learned how to avoid hurting my arm during the day. The test would be at night. This same night. Much to my amazement, I slept all night. Perhaps it was because of being exhausted. More importantly, two beets had totally eliminated the pain. It was not simply reduced, it was gone. There was only one problem...it lacked the taste of anything good. So, in a world where pain killers are a 57 billion dollar industry, here is a simple, easy way to provide pain relief. Of course, there will be the nasayers. They will say where is the science? But this is a simple, easy way to do what medicine can not always do....make pain go away. Try if for yourself and see if it makes your shoulder joint pain go away. See if it works. If it does, nothing more needs be said. It it does not help, then you can take advantage of our 100% misery back guarantee. This is an option for reliving pain without joint pain medication. New for 2017, we have found research pointing to another cause when there is no injury involved. 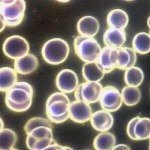 This is a PDF of the research findings regarding how Lyme can cause the pain and suffering that otherwise is misdiagnosed. 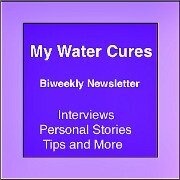 Discover more about Lyme Disease and the role Water Cures plays in helping you heal. Please Share Your Shoulder Joint Pain Story Contact Water Cures and let us know how we can help.